Bifouma has previously scored a hat-trick against Barcelona. Thievy Bifouma could be on the move this summer – with a huge bargain purchase coming to anyone who makes an offer for him. 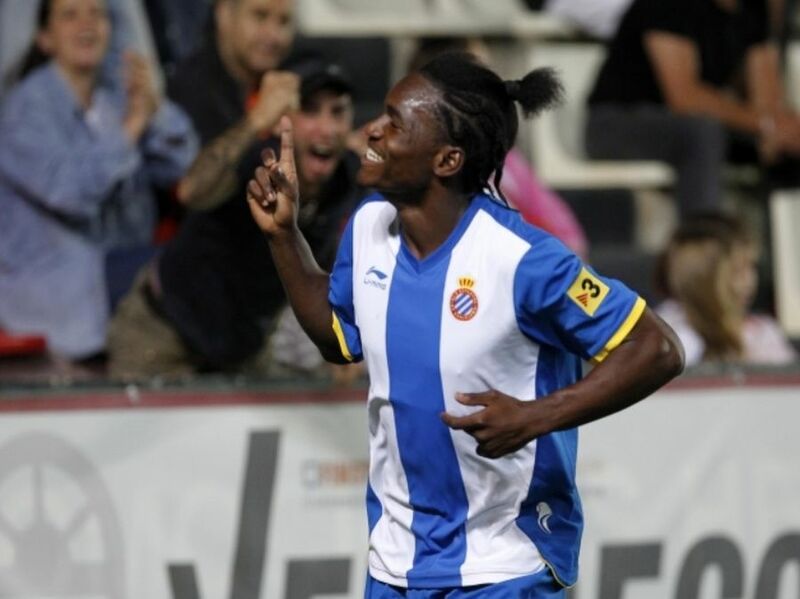 20-year-old Bifouma’s contract with Espanyol expires in 2014 and there seems he has no intention to renew it after spending this season on loan at Las Palmas in the Spanish Segunda. Even if he did want to renew his contract, Espanyol’s debt rose to €144 million at the end of the last financial year and it looks like they will need to sell more players to try and reduce that debt this summer. The young but proven and experienced striker could be a great buy for any club across Europe. The French striker has netted 13 times in 38 appearances and Goal.com are reporting that both Aston Villa and Stoke are interested. The centre forward has nabbed five goals in his last ten games and is famed for a hat-trick against Barcelona in the 2011 Copa Catalunya.